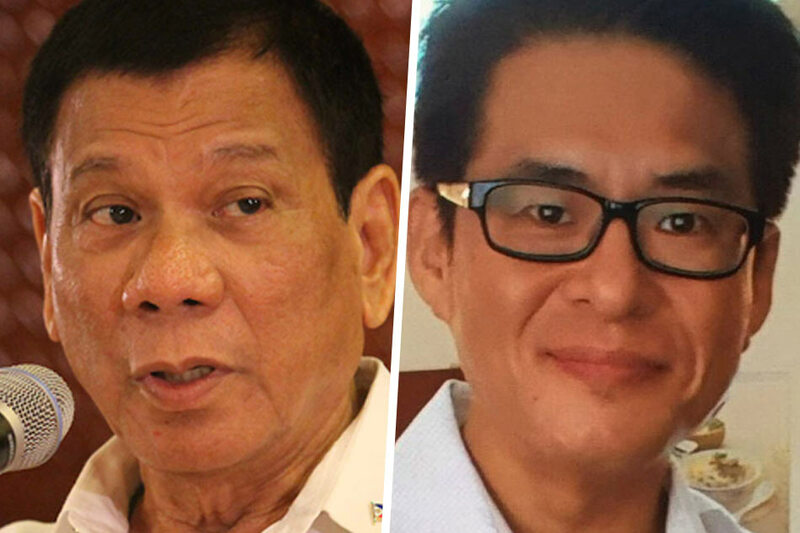 MANILA - The spokesman of President Rodrigo Duterte apologized Tuesday to the South Korean government and the public for the murder of Korean businessman Ick-joo Jee allegedly at the hands of rogue Filipino policemen. "We wish to take this occasion to express the condolences and sympathies of President Rodrigo Roa Duterte and the Filipino people to Mrs. Choi Hyeung-jin, the widow of Mr. Ick-joo Jee, the South Korean national who met untimely death while in police custody," Presidential Spokesperson Ernesto Abella said at a press briefing. "We apologize to the South Korean government and people for this irreparable loss," he said. The Palace official also reiterated Manila's vow to deliver swift justice for Jee. "We commit the full force of law to ensure that justice is served and not delayed. To the Korean people, please accept our sincerest and deepest regrets," he said. Police from a special anti-drug unit allegedly abducted Jee from his home in Angeles, Pampanga last October 18 under the guise of a legitimate "Oplan Tokhang" raid. The Korean was brought to Camp Crame and strangled to death before his remains were brought to a funeral home in Caloocan, the Justice Department confirmed last week. The kidnappers demanded a ransom from the victim's wife and she initially paid P5 million, thinking he was still alive. The police have come under intense scrutiny as the frontline troops in Duterte's efforts to eradicate illegal drugs in society, with human rights groups accusing them of mass extrajudicial killings. Several groups have also accused Duterte of promoting a culture of impunity with his repeated promises to protect cops from prosecution if they are charged with murder for killing a drug suspect. Abella, however, offhandedly dismissed the allegations, saying "I think that's overimaginative." Duterte's spokesperson, however, acknowledged that Jee's killing bares the corruption inside PNP. "This particular situation indicates truly a depth of corruption within the government system," he said.